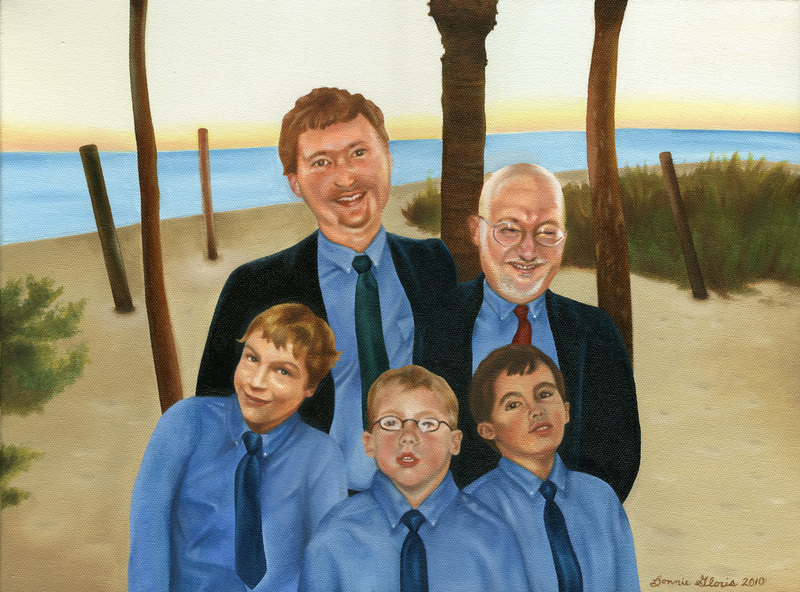 Family portrait commissioned for the Abel-Palmer family. "Abel-Palmer Family," 2010. Oil painting on canvas. 16 x 12 inches.